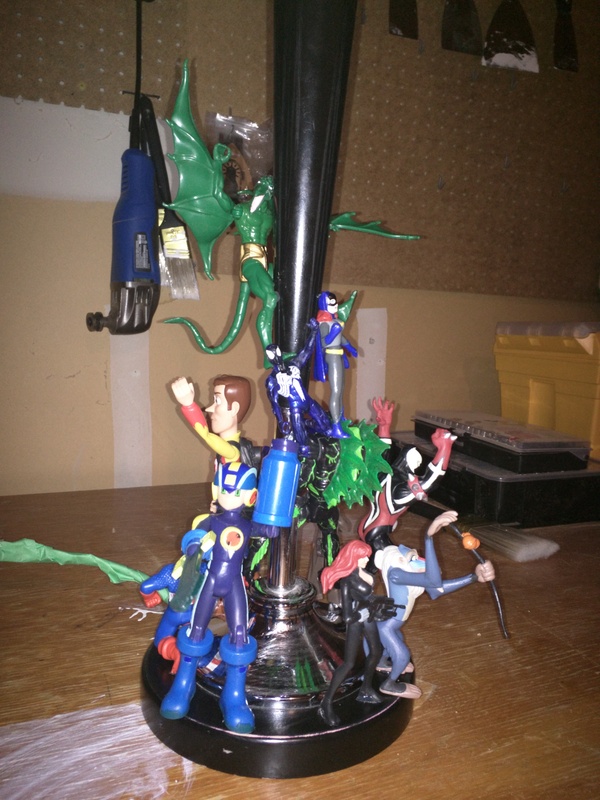 When I moved out of my parents’ house, I had no idea where my mom put my action figures. To this day she claims she doesn’t know what happened to them. I suspect they found a new home through the local Value Village. Thankfully, I have a best friend who shares my nerdy interests. One night while drinking in university, she shamelessly went into her closest and produced a large bag of action figures. Since she’s a woman after my own heart, the majority of her action figures were X-Men and Batman characters. I’m not sure how many nights we drunkenly talked about comic books and played with action figures, but when I moved out West she gave me her bag of beloved action figures to take with me. They’ve travelled with me over 7 years from place to place, but have never gotten out of the box I stored them in. I would never get rid of them, but it’s not the same to play with action figures when you’re 31. 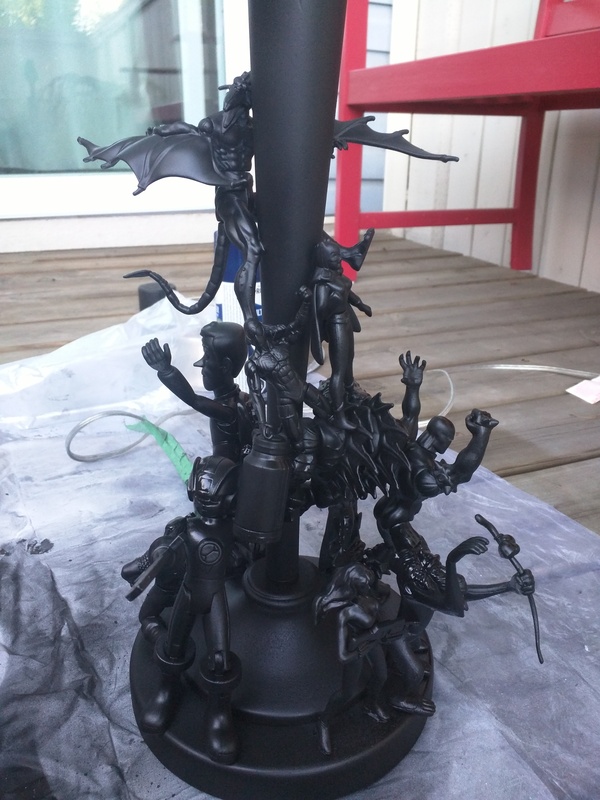 One night while perusing the internet for nerdy home décor, I found action figure lamps by Evil Robot. 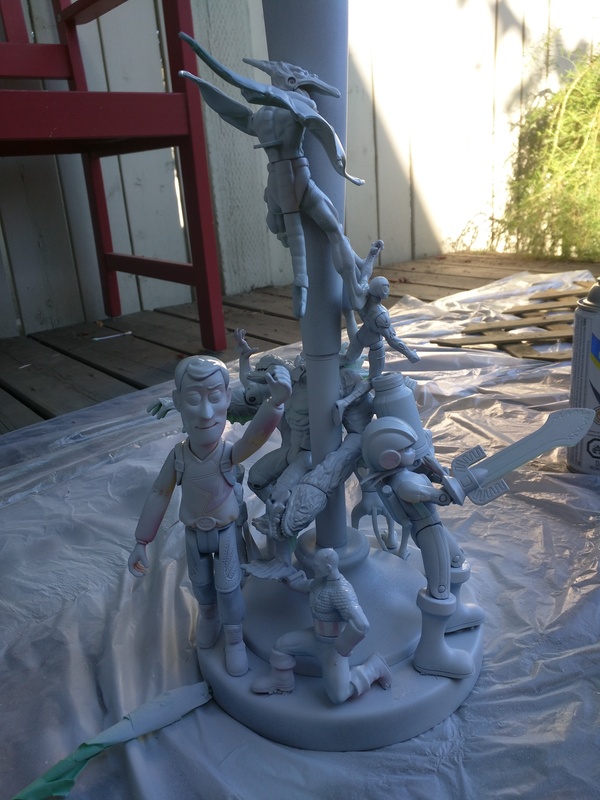 The designers will customize the lamps with your choice of action figures. 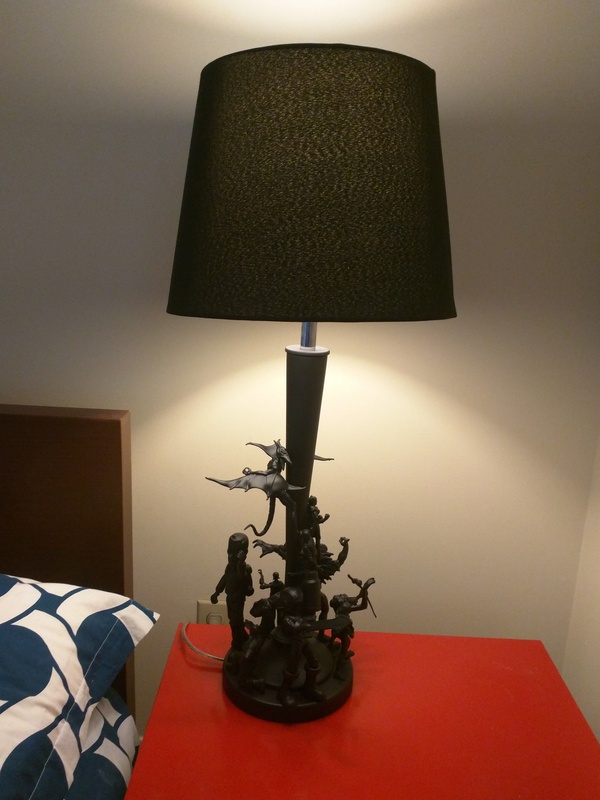 As you can imagine with the customizable design and shipping, the lamps can get pricey. Since I’m a cheapskate I decided to try and create my own. 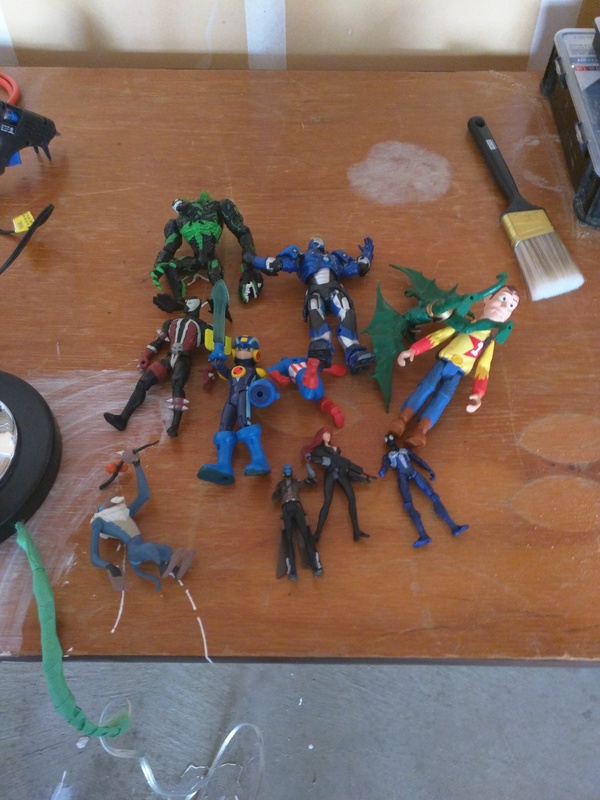 The majority of action I used were from my collection, but I picked up a used bag of figures for $1.99 from Value Village too. 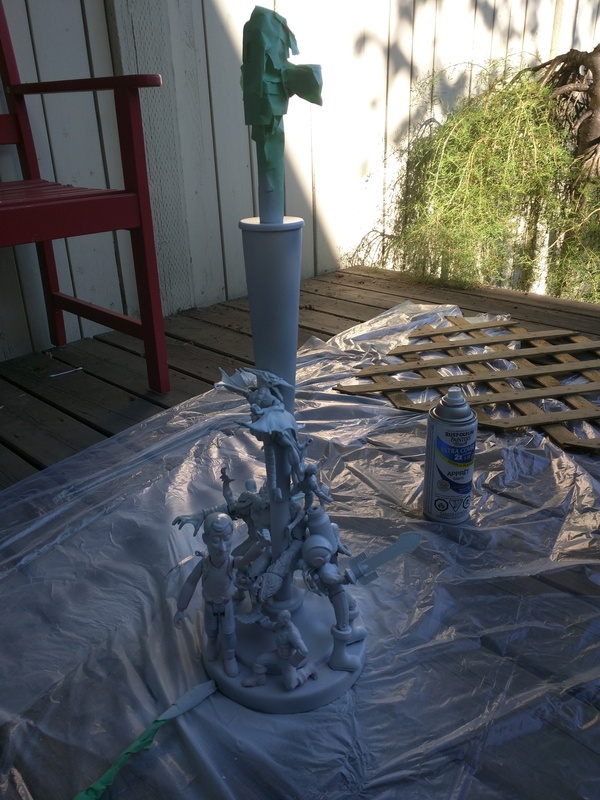 I also bought primer ($4.99), black spray paint ($4.99) and a glue gun ($8.99) from Home Depot. 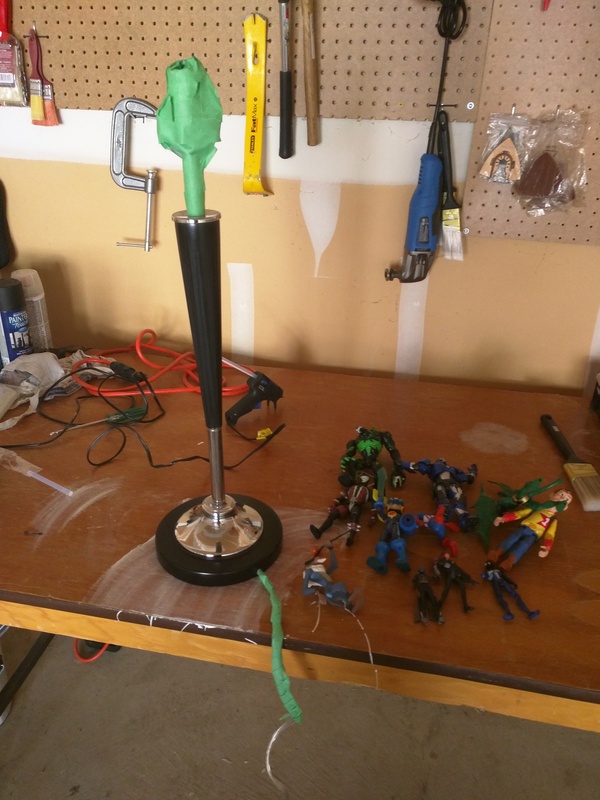 I used an old lamp that had a flat base. 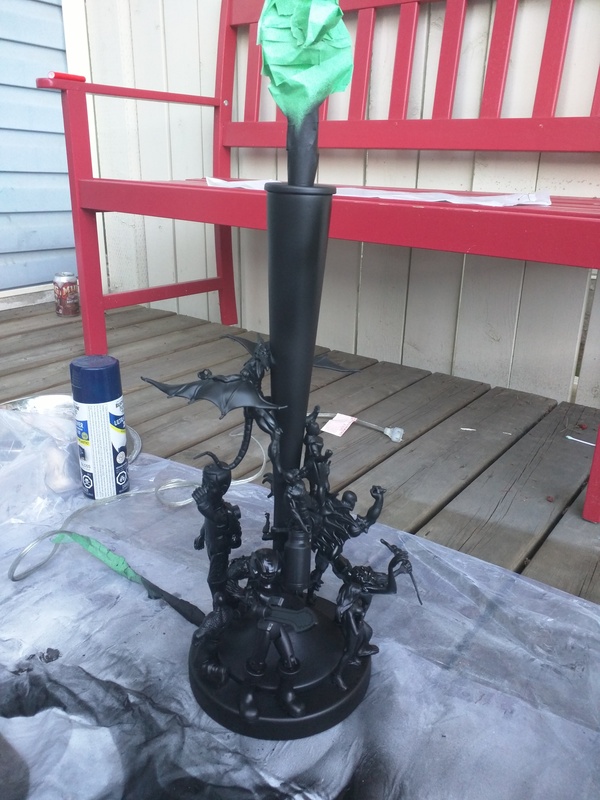 It only took me two hours to put everything together and spray paint it, then another 24 hours for the lamp to dry. There’s some great YouTube tutorials as well that give you the basic for designing the lamps. 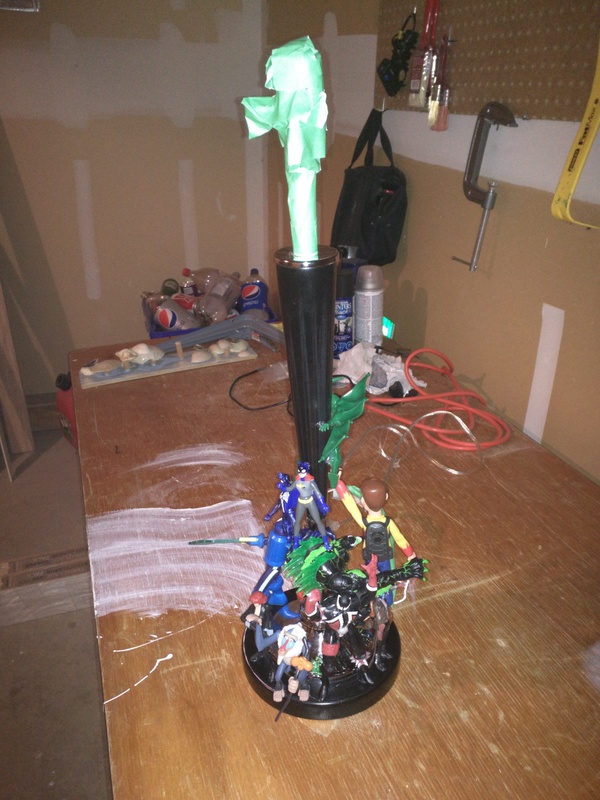 If you’re in a crafty mood, this is a great way to repurpose your old lonely action figures.